June 10th-12th, 2010 I competed in the Ironman 3 Gun Match in Parma Idaho. The Ironman 3 Gun is unlike most other competitions in that it has a round count roughly 3 times normal matches, and it is physically demanding with stages requiring shooters to sprint up to several hundred yards and carry heavy things. 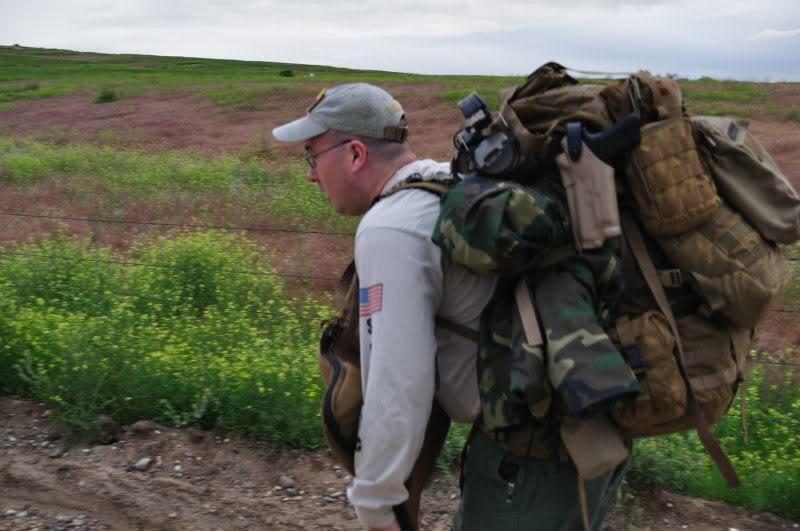 To make it even more difficult, I compete in Trooper class; where we are required to carry all of our gear from the start of the match to the end of the match stage to stage and we cannot resupply anything outside of what we store in a standard ammo can size at the Trooper Gear Check Point. 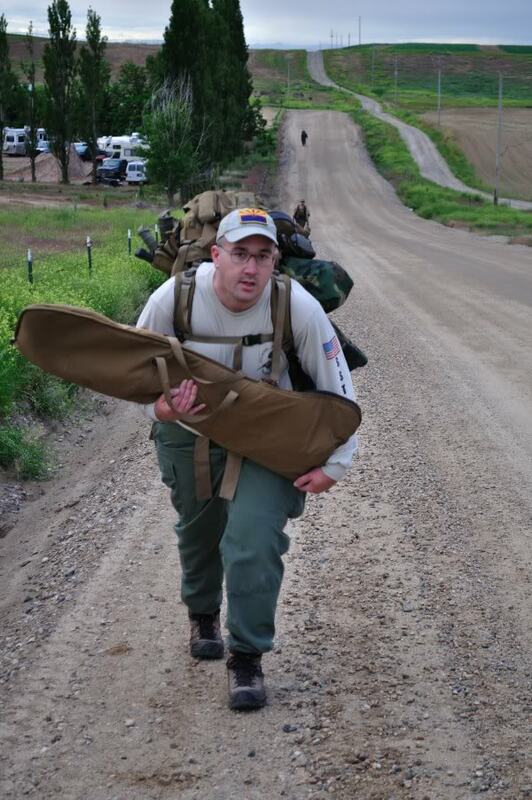 Equipment is completely unlimited; competitors can use any gear they want as long as they can carry it. 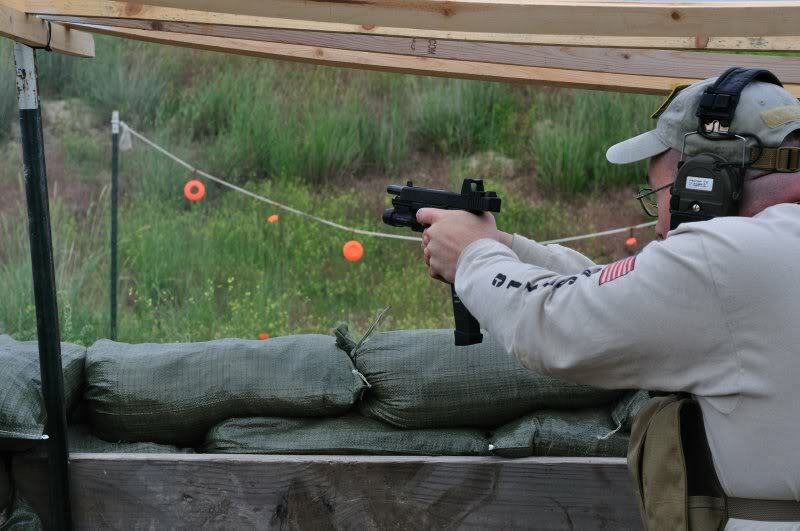 1) Simpler sight picture: The dot was much easier to use on small and moving targets than traditional sights. Putting the dot on the target was easier than alligning sights and tracking moving targets. It really made targets like the double spinner (the shooter must rotate it 360 with correctly timed hits) easier to engage. 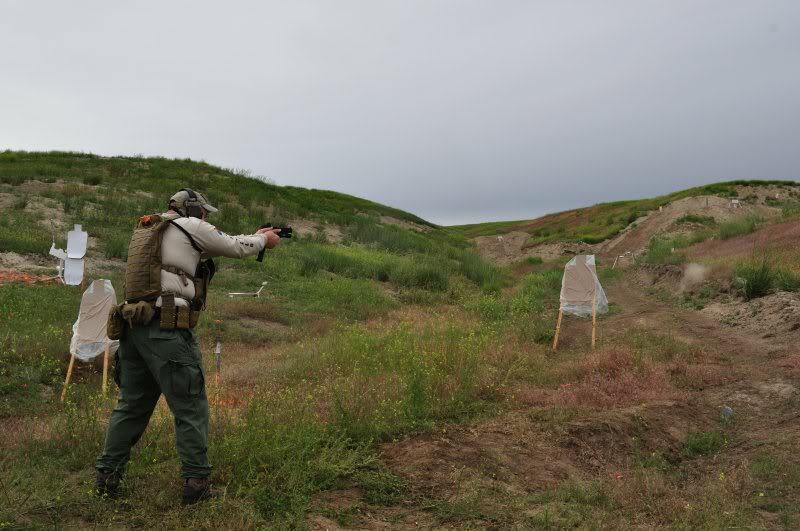 2) Knowing when not to pull the trigger: The dot may be bouncing around a lot after sprinting a couple hundred yards, but it gives you more information on your stability to make a shot than traditional sights where the movement is not as obvious. 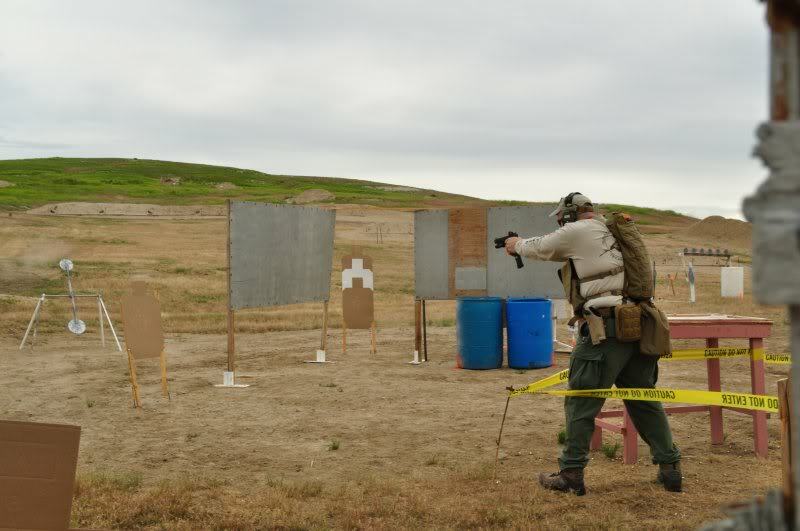 3) Speed increase using the RMR equipped glock was the net effect increased accuracy: I needed fewer shots to successfully engage all the targets. The one downside to having the RMR equipped Glock was that the lens accumulated sand simply being in my holster. Parma, ID has very fine talcum powder sand and there were high winds all 3 days of the match. It never accumulated enough sand to be unusable, but it was enough to reduce effectiveness. Fortunately I was able to blow the sight off and use a lens wipe before every stage. Even covering the pistol in the holster with a spec ops brand recon wrap allowed sand to accumulate. 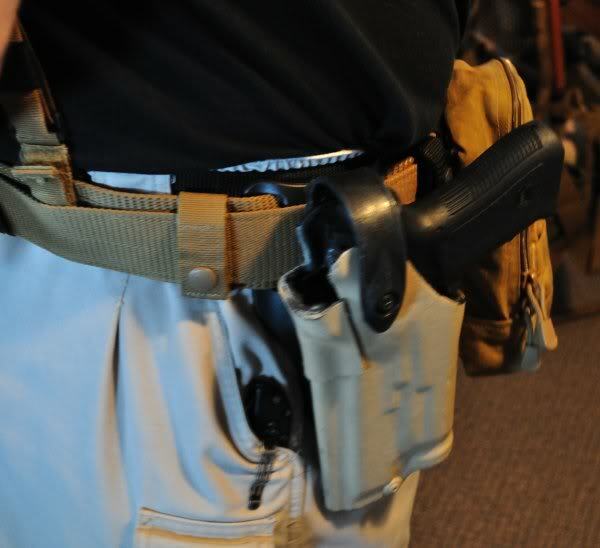 I think a purpose built field/duty style holster would need to completely cover the rear of the sight. I ended up 3rd place in Trooper this year out of 24 competitors. The main thing that caused me grief this year was intermittent feeding issues with my Saiga-12 costing me at least 100 seconds in penalties from missed flying clays (10 clays at 10 seconds each). But that’s another story. I consider this first major test of my RMR equipped Glock a success. This entry was posted in Competitions, Gear, Ironman 3 Gun, Red Dot Glock. Bookmark the permalink.